Each forewing of the adult of this species is brown, with a pale line across the middle, and with white ticks along the costa. 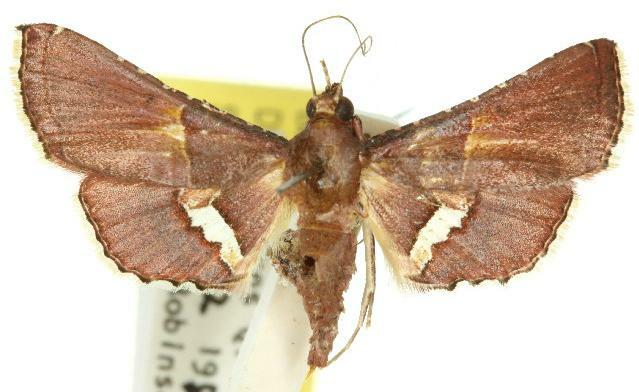 The hindwings are pale brown with broad white transverse band. The wingspan is about 3 cms. Volume 18 (1904), pp. 182-183.